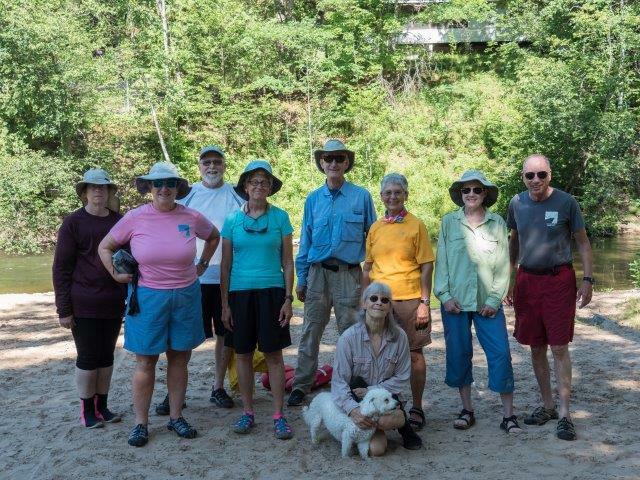 The weather couldn't have been better for the Pine River Cleanup. 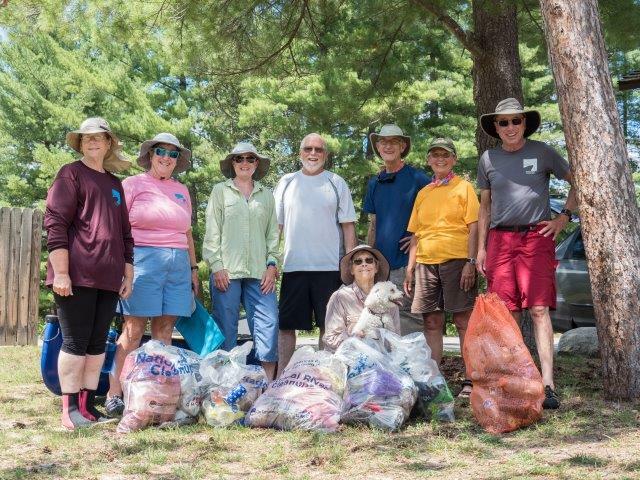 The crew consisting of Tom Auer, Leigh Baker (visiting from Texas),Tom Donnelly, Lois Goldstein, Gail Hastings, John Heiam, Tracie Lord, Marlene Puska, and Jocelyn Trepte started out at Dobson and ended at Peterson. There were the usual acrobatics and daring, climbing up hills, paddling into logjams, and jumping out of boats to grab things in the water. 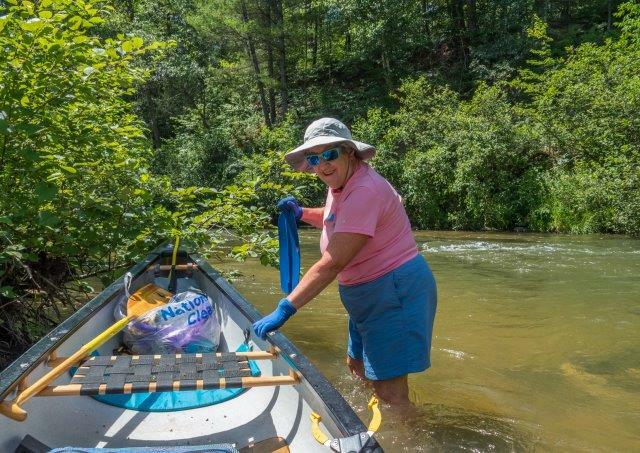 By the end of the trip we'd collected five very large trashbags full of booty, including a variety of aluminum cans, many plastic water bottles, 2 containers of sunscreen, a beach towel pinned on the bottom of the river, a kayak paddle blade, and lots of single shoes. The most unusual item on the trip was a coconut shell found by Tom Auer. As usual a grand time was had by all and this section of the Pine River is pristine once again. Special thanks to the Pine River Paddlesports Center for the free shuttle and use of three kayaks and one canoe. In addition their driver, Marty took the two group shots you see here. Also thanks to the Manistee National Forest Office for providing free paking passes for our group. Lois gets a broken paddle blade off the bottom of the river. The stuff we collected! Note, we didn't lose Gail on the river - she was walking up to get her car when the photo was taken.